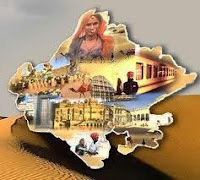 Rajasthan GK Question in Hindi Sample Paper 174: Rajasthan General Knowledge Sample Question Paper with Collection 10 Question of Rajasthan GK Questions for RAS, Rajasthan Police, REET, SI, Contable, Patwari and other state exams under GK Quiz in PDF @ Rajasthan GK Sample Papers. Rajasthan General Knowledge (GK) and General Studies (GS) Questions from various examinations of Rajasthan Govt. and central Govt Examinations. Q.3371 राजस्थान में अगस्त 2015 में हुए शहरी निकाय चुनाव में किस पार्टी को अधिकतम जीत मिली ? Q.3372. रिजर्व बैंक ने हाल ही में कितनी संस्थाओं को बैंक खोलने की मंजूरी दी है ?